While outdoor temperatures fluctuate according to the season, the temperature just below the earth’s surface remains stable year-round. 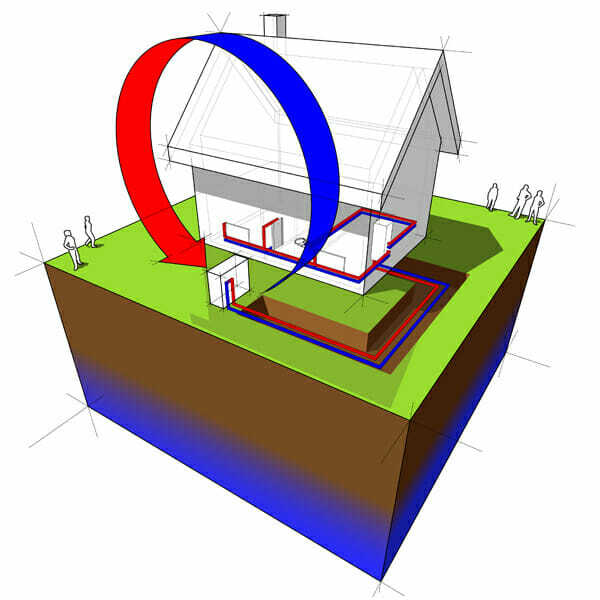 A geothermal heat pump capitalizes on this stability by transferring heat between the earth and your house to provide indoor climate control during both cold and warm months. Unlike traditional gas furnaces and forced air systems, a geothermal pump moves heat rather than generating it, making it a more efficient and environmentally-friendly way to heat and cool your home. How Do I Know if it’s the Right Choice for My Home? Geothermal heating is highly efficient—but it’s also expensive. In addition to the materials, it requires the work of qualified HVAC and excavation specialists trained in geothermal heating installation. Make sure the professionals you hire have plenty of proven experience with this type of system, in order to make your home as efficient as possible and ensure that the benefits will be worth the financial sacrifice. Before you commit to this project, you should be aware of your home’s energy load and the improvements required in order for a geothermal heat pump to be most effective. If your home is not properly insulated or if the current ductwork will not support a geothermal pump, these are important factors to think about before you start the installation process. A home energy audit will cost you around $300 to $500. The indoor portion is comprised of the heat pump—which will cost you anywhere from $3,500 to $7,000 depending on the model—and the accompanying ductwork modifications or installation. If you have existing ductwork, the modifications will most likely be small. 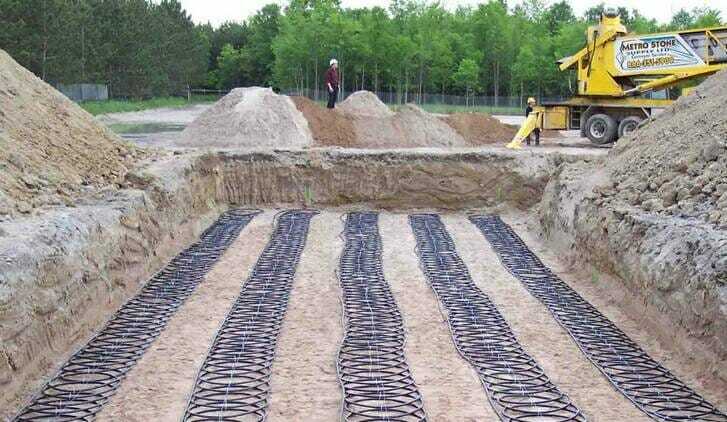 The outdoor portion is the loop field, which consists of an underground pipe network that transports the heat to and from the earth or water supply to your house. This requires excavation and most likely a per-foot cost of pipe installation. Depending on the work that needs to be done and the whether the installation needs to be horizontal or vertical, this can put the overall cost anywhere from $10,000 to $25,000. The reason it’s hard to find an exact figure online is that the costs of this project vary depending on several decisions you make, as well as outside factors. The size of your house, the available land, the type of soil, the climate, the usability of current duct work, and the type of pump you choose (some are more efficient than others) affect the overall cost. Geothermal heat pumps may cost more than traditional energy, but they come with marked benefits. The operating costs are low, and efficiency rating is 400 percent—an incredible leap up from the typical 94 percent efficiency that a gas furnace delivers. This means you will get four units of energy for every unit of traditional energy. And these savings add up. According to the U.S. Department of Energy, you can recoup the cost of installation within two to ten years. Other than choosing the right installer, the most important decision that affects energy output is purchasing the right pump. When shopping around, look for the Energy Star label, which shows that the product meets certain efficiency criteria. Different models offer different benefits. For example, you can purchase a model with two-speed compressors for better comfort and savings. If you want your heat pump to also heat water, you can add a small exchanger that uses superheated gases from the compressor. Another factor that may affect your decision is the 30% federal tax rebate, which expires at the end of 2016. There’s only a short time remaining to capitalize on this financial incentive. Also keep in mind that there are financing options that can lighten the upfront load. As you tally up the costs, keep in mind that geothermal heating systems are low-maintenance in the sense that they are not as susceptible to wear and tear caused by weather as traditional heating units. Several unique factors determine the size, type, cost, and payoff of the system. Get in contact with a qualified installer and learn more about how geothermal heating pumps work before you decide if this is the right decision for your home and family.